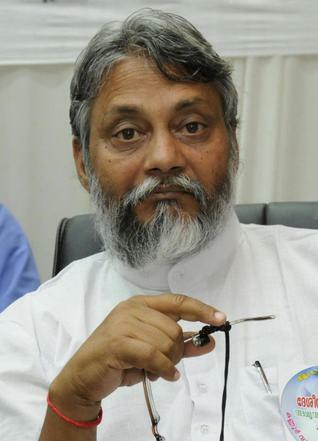 Rajendra Singh is a man on a mission – he wants to stop a Third World War from breaking out because of water shortage. Singh, known as the “waterman of India”, is a celebrated water reclaimationist from the Alwar district of Rajasthan India. Singh won the Stockholm Water Prize, an award known as “the Nobel Prize for water”, in 2015. The prize honors individuals, organizations and institutions whose work contributes to the conservation and protection of water resources, and to the well-being of the planet and its inhabitants. Previously, Singh won the Ramon Magsaysay Award for community leadership in 2001 for his pioneering work in community-based efforts in water harvesting and water management. He runs an NGO called ‘Tarun Bharat Sangh‘, based in village Kishori-Bhikampura in Thanagazi tehsil, near the Sariska Tiger Reserve, and has helped villagers take charge of water management in their semi-arid area through the use of johad rainwater storage tanks, check dams and other time-tested as well as path-breaking techniques. Starting from a single village in 1985, over the years TBS helped build over 8,600 johads and other water conservation structures to collect rainwater for the dry seasons, has brought water back to over 1,000 villages and revived five rivers in Rajasthan, Arvari, Ruparel, Sarsa, Bhagani and Jahajwali. “The johad is key to revitalizing the natural remaining aquifers of an otherwise arid area,” says Singh.